Kitco is a Canada-based metals firm that employs an award-winning website to track and monitor historical gold pricing as well as giving real-time values on gold commodities. The Kitco gold price charts can be valuable indicators of where the market is going in regards to price moves. This can be an excellent tool in determining whether to buy gold bullion or to sell holdings. The basic Kitco gold price chart gives a very simple explanation of the rising and falling of a gold price per ounce on any given day during a 30-day period. For example on June 11, 2012 at the close of business gold per ounce was selling at $1593. The low point was on June 28, 2012 and charts gold priced at $1555. Prices rose to $1620 on June 30 and today the real-time Kitco gold price is $1568. Investors use Kitco’s charts to determine price trends and when it is best to purchase and sell gold. The spot price of gold is the cost of one troy ounce of pure gold. The price changes hourly due to global demand. Spot gold prices rise when global demand for gold rises and dollar values depreciate. 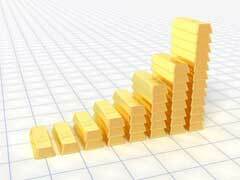 Generally spot gold prices are economic indicators that give prospective investors an analysis tool. Using gold analysis tools, when gold is stamped gold 9999 it is an indication that you are holding pure gold or less than one ten thousands of the total weight is a metal other than gold. This is the purest form of gold that you can possibly purchase and prices are reflected based on the 9999 designation. The Kitco gold price fluctuates according to market demand, and gold bullion prices also oscillate according to requests. Real-time prices indicate that U.S. gold eagle bullion coins are selling for $1656.48 which is much higher than the going price of $1568. The difference indicates historical or collectible value. At the close of business on July 11, gold bullion bar prices indicted that an ounce bar sold at $1638.34. Again, this is higher than Kitco’s price reflection. The difference in prices between refined gold and collectible gold is market demand and availability plus the historic or aesthetic value to a collector. When determining gold coin or bullion prices consider the type of coin or bar, the year it was minted, condition, where it was minted and its melt value.